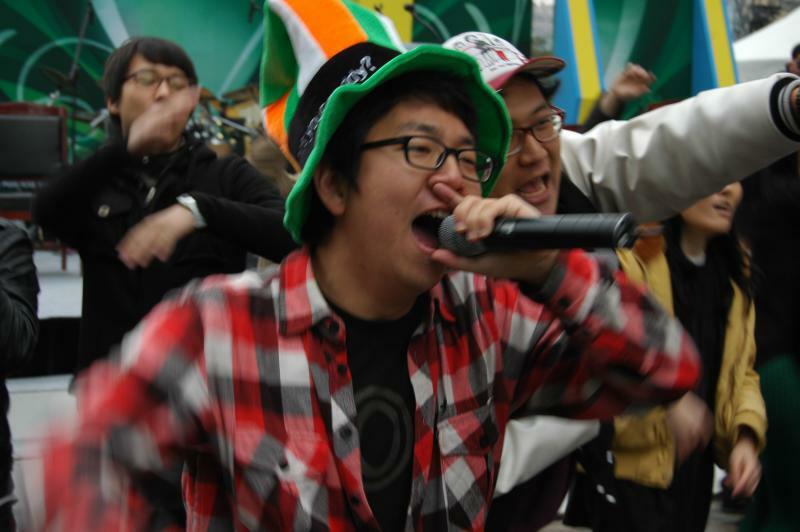 St. Paddy's Day was celebrated at Cheonggyecheon in downtown Seoul - and what a party it was. 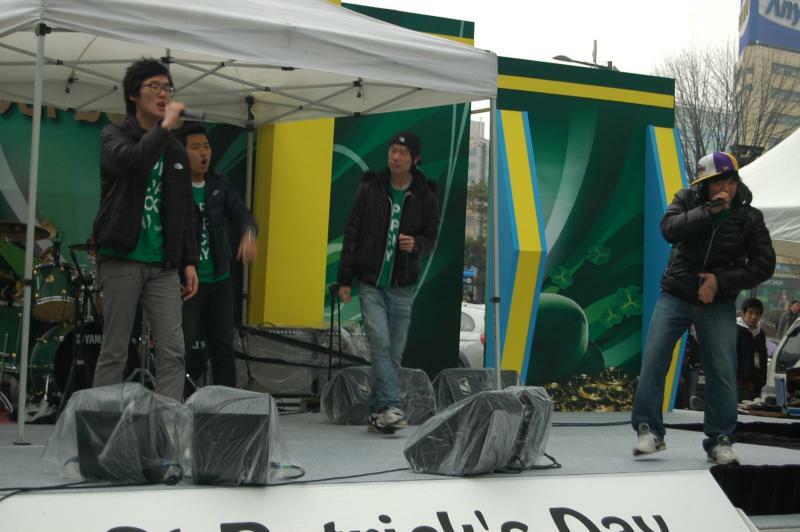 Although the mixture of Korean hip-hop (above), Korean acapella, traditional Korean music (a pungmul band), and Irish music was a bit quirky, the crowd stayed - and remained noisy until the exodus to Gangnam. More on that in awhile.